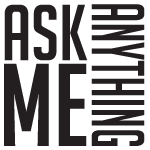 So, I thought maybe it would be a good idea to have a live Ask Me Anything type video where I can answer many of the questions that come up all of the time, or anything else you may be interested in. I’d answer all the questions live on YouTube, but to help me decide if this is a good idea or not, leave any questions you have below in the comments. I’m willing to answer most any question you may have. In situations in which honesty may get me sued I will just omit specifics. Feel free to leave questions anonymously if you’d prefer to do that. Tell me if you think this would be a fun idea? The problem with Android is basically the jargon. That is what confuses people. For example Intent sounds confusing. What is an Intent? It is just a way of referring to something you want to interact with. If you want to open a new Activity the Activity is referred to as an Intent. If you want to open the picture gallery to get a picture you refer to the picture gallery as an Intent. Thank you so much for the learning environment. I have started trying to learn Java for a basis as I am wanting to possibly go after a computer science degree so I watched just you basic set up video and followed it to a the letter, however, I am having problems getting the Apache.commons downloaded to get started and wanted to know if something has changed since you made the tutorial? You’re very welcome Gene 🙂 I have a tutorial on how to install Java libraries. I hope it helps. I also have to get started with advanced C++ though I have basic understanding of C++. Do you have any existing tutorial on C++? If not, would it be possible for you to teach smart pointers, templates, STL etc? Thank you for the nice compliments 🙂 I’m very happy to hear that you enjoyed the design pattern tutorials. When I was making those videos nobody was watching them, but I felt it was an important topic to cover properly. I haven’t covered C++ yet, but I definitely will soon. I will finish my C tutorial this month. I was wondering if you were going to do one on netbeans? That is a lot of watching 🙂 I will cover Java Enterprise stuff eventually, but I want to devote myself to it when I do. I’ll get to it as soon as possible. Great idea ! That would be very helpful ! , how can we ask ? By leaving a comment here , YouTube or where :p ? Thank you very much for all of your tutorials which are the BEST ! . Thank you very much 🙂 I’ve already started covering C. I will finish that tutorial this month. As per C++ I plan on covering it with the same level of detail I used with Java. I’d love to transition into electronics tutorials with C, but there doesn’t seem to be any interest in that topic for some reason? If you mean embedded systems programming, then I am interested in that. OpenGL would be great too. Btw thanks for your tutorials, they are great. I will be spending a great deal of time with OpenGL next year. Thank you 🙂 I’m glad you are enjoying the videos. Did you just say electronics???!!!!! Awesome dude. I Would love to watch electronics tutorials videos too 🙂 and I am sure there would be many wanting to learn the same. What kind of Electronics topics would you cover?? Do u work on it frequently? And yes, Embedded stuff would also be great.. In the real world I spend a lot of time making Android apps that communicate with electronics. I went to school to be an electrical engineer. When I make those tutorials I will start at electrons and conductors and work up from there. I want everyone to completely understand everything. I’d teach electronics from the mindset of a programmer because that is what made sense to me. I’ve been following your Android Tutorial video series, and I must say that they are absolutely fantastic. They have helped me understand a great deal. As for my question.. how many Android (or iOS) apps have you published and which one did you enjoy making the most? Thank you very much 🙂 I have made a bunch of Android apps, but I make private apps for business owners. This is an untapped market in my opinion because I receive way more work then I can handle. The most successful app I ever made was a app that allowed business owners to set up security cameras all over the country and then monitor them from their phone. I’ve set up that one app 6 times already. Aside from the convenience the greatest thing about it is that it was very inexpensive to set up. If I do a live AMA I will talk more about it and other apps I have made. Hello, Derek. Thank you very much for your lessons. Can you make videos about WordPress theme development? Are you going to make videos about drupal? Sorry, but I use WordPress. I don’t think I could make Drupal tutorials that are any better then what is already out there. I will definitely cover the Zend framework. I have been using it for many years and a tutorial is well over due. Already asked you that on twitter and I haven’t got any reply from you so I might as well ask you here, will you make a LWJGL tutorials? Sorry for not replying. My Twitter account is full of spam. Yes I plan on covering LWJGL. Next year will be all about games and Android apps. By next year you mean 16 days from now in 2014? I am interested in making YouTube tutorial videos also like you but wanted to know wether it pays good or enough to live by own if you dont mind me asking. Is there any way of knowing how much approx i will make based on if i make x amount of videos, with x amount of views and x amount of subscribers. Would you know how many subsribers and videos and views i would need to start making $500 or $1000 a month. Keep up your good work i have learnt so much from your tutorials as it has helped me out so much in my career and studies. Your work has actually made a difference in my life by me getting a new job. Once again i thank you from the bottom of my heart. It is kind of hard to say how long it would take to make $1,000 a month because everyone is different. Also making money through YouTube works different from most anything else. It is kind of similar to running a business. I am great fan of yours. I need your suggestion. How to improve problem solving skills? E.g. how to find problems so that I can practice oops ,java and design pattern concept? I know theoretically but how to apply them on actual problem and where to find problems like that? Thank you for the nice compliments 🙂 I made a tutorial that shows how to turn a problem into finished code Object Oriented Design tutorial. I have been working on a problem solving tutorial for a while, but it isn’t quite ready yet. I hope to get it out soon. Is there any plan to cover C# AND ASP.NET waiting for it 🙁 or UNITY? Sorry, but I’m not sure when I’ll cover those topics. I’m a bit backed up at the moment. Thank you 🙂 I have many videos planned for the coming year. Please don’t donate. If you know someone who might like my website tell them about it. That is the only thanks I require. Thank you as always for the help that you provide, Derek. The question that I always have lingering in the back of my mind is, how does one go about getting a job in the web design industry? Thanks in large part to your tutorials as well as practicing on my own and my former schooling, I feel as though I have managed to obtain a decent skill set. What exactly are employers looking for and what could one do to stand out from the crowd? I am setting up a new portfolio website for myself after finishing my friend’s e-commerce site and I was wondering if you had any advice, as I’m going to start applying for jobs after my site is finished. Thank you again for your constant hard work and happy holidays! I decided a while back to just be a consultant and get my own business. If you create a proven way to solve business problems and you are good at sales it is pretty easy to start your own business. You’ll suffer for about 4 years, but if you stick with it that long and do good work you’ll be set after that. I focused years ago on perfecting all aspects of selling online. After I had a few profitable shopping carts under my belt it was very easy to attract business. Now I turn away over 95% of the customers that approach me. If you get very good at most any skill you’ll find a job. Great job with the Samsung series, they provided a great set of samples and you’ve done an excellent job of describing them, Thx – On Android Dev. Is there a difference between playing a video and streaming it? How about a live feed? Thank you 🙂 yes Samsung basically told me exactly what they wanted me to do. They wanted just 4 videos, but I decided to make many more so that I could properly explain everything. The only difference between for me between recording live versus recording and editing is that i don’t have any experience with recording live. It is a bit odd because there are a few seconds of delay. Your videos on Design Patterns are just awesome. I am planning to learn Android development too, from your tutorials. I assume this will be a live youtube video. Can you let us know when this session is going to be? I’m very happy that you enjoyed the design pattern tutorials. It would help a lot if everyone would leave questions here for the AMA so that I have some questions to answer at the beginning of the video. I haven’t decided yet when I’ll do it. I’ll make everyone well aware days before it happens. What is the best advice you can give for someone who is wanting to start making youtube tutorial videos? I’ll get more into this topic in my live ask me anything, but the best advice is to make videos on topics that you love to talk about. Then make as many as possible so you can learn how to make good videos. It isn’t something you can learn from a book. I’ve made a few videos on what the really successful people do on youtube. Here is one that may help. Hi Derek I appreciated a lot your video classes on UML. I’m trying to learn Apache Solr and Apache Nutch by myself as I haven’t found any video class on the web. Would you be interested in preparing video classes on Solr or Nutch? I (and many others) would be extremely grateful. Two awesome technologies I’d love to cover and plan to cover when I get back into web stuff. Thank you for the request. I wasn’t aware that anyone was interested in seeing more on them. Hey I want to make a website similar to yours, It would essentially exist to help with group (programming)projects by sharing information on where to begin learning to program and written articles. I can invite anyone who has an email to be a moderator but and have a Facebook page for the website but I don’t know where to find people who would be on the site. The people will eventually find you. I have tried all of the social network tricks for attracting people and they haven’t worked for me. I think the most important thing to do is to decide what videos you’d enjoy making even if nobody watched them. You need to make a ton of videos in the beginning just to get good at making videos. The first few hundred I made weren’t that good, but I kept at it and kept improving. It is a skill and it needs to be developed. Look for topics that aren’t properly covered and that you are interested in and make those videos. I have a bunch of tips on what the really successful people do on YouTube here. Also check out the tutorial people on YouTube that are really successful like thenewboston, khan academy, etc. They are way more popular then I am. It depends on the type of app. Are you referring to Android apps? You can make Android apps in a few ways. The most common is to use Java. You can however also use other tools that are easier to use, but are more limited. I’m going to cover one of those very soon. ok thanks I will be waiting my brother. I am really thankful for people like you. Thank you 🙂 you are very kind. Eventually someone great will come along and do the right thing. I wanted to ask you, i am thinking of making tutorial videos on YouTube but all will create a website, do you know any good free templates for wordpress sites that would be good for tutorial. Sorry to bother you. Sorry for all these questions but my last question is, is there a particular reason why you dont put your actual website URL in your YouTube description? I have seen that you but shortened URL, is there a particular reason why you dont actually put your website URL in the YouTube description is it bad for SEO for your site? I do that just to shorten the url and for no other reason. I don’t really do anything for SEO reasons anymore. I’ve decided that people will find me eventually if they look hard enough and I don’t want to try and manipulate Google and potentially get black listed. 1. Create a custom post type. Remember its categories should be separate from default categories of post. 2. Replace header of twenty thirteen theme with a light weight slider. If possible then use wordpress default jquery library. now show these categories on a widget using accordion. 2. Replace header of twenty thirteen theme with a light weight slider(without using any plugin). If possible then use wordpress default jquery library. Thank you 🙂 I’m glad you enjoy the videos. 1. I’m not sure what you mean by a custom post type. I use categories to organize posts. 2. I have a bunch of slider tutorials for WordPress, but this is probably the best Edit the Coda Slider. 3. You can create sub categories in WordPress as it is. I’m not sure what you are struggling with here. I’m sorry I could be of more help, but I have all my WordPress tutorials here to help. I have over 80 of them. Watching your design pattern videos at the moment, really enjoying it, it is very easy to follow and love those visuals in the presentation. I checked through your site and realised you have done so much and being very productive. I wonder what’re your daily rituals that make you so motivated and productive? I’m very happy that you are enjoying the videos. I think I have some sort of issue where I go crazy if I’m not doing something. I barely sleep at night and if I ever find myself waiting for something, or if I’m on the phone with someone that isn’t keeping me stimulated I’ll work on things like these tutorials. The tutorials actually take me very little time to make, but in between running my business and taking care of my kids it gets a bit hard to make them on a consistent basis. what do you this about raspberry pi what kind of language do i need to learn to make my own linux~android based OS i know its a big leap but its a goal to reach. Is it possble to do this on a windows computer or virtual machine and how do they write the OS for Android, and one more thing its more of a request please sometime in the future of you have time please explain how to write opengl if you can. Operating systems are written with a combination of assembly and C normally. I plan on covering OpenGL soon. hello mr Derek Banas. First I would like to appreciate your effort in sharing your knowledge, and to thank you for being an inspiration to people like us from africa. That being said, I have a problem with the phonebook app i was following with your tutorial videos. Please help look at this logcat error if you can identify what went wrong. My app throws this errors when i want to run it. It looks like heap and emulator problems. Take a look at this video. I show how to install all of the updated Android / Eclipse software. That should fix it. Have you received any requests from viewers to receive your tutorial videos on DVD, saving the users from streaming/downloading from Youtube, for a nominal fee of say $10 for Java, $10 for Android etc. It goes without saying the content is far more valuable than the nominal $10 fee. I have been your fateful viewer on many videos and found that having the contents on a local drive is very handy. Part of the proceed would cover the processing and handling, and the remaining portion can go to support and maintain your web hosting and other expenses. I have thought about doing that in the past, but it would go against my idea of providing a free education. You can download the videos if you want. I personally can’t allow it however because I wouldn’t be able to afford the hosting if I hosted my own videos. There are some other personal decisions I have had to make to make hosting my videos worthwhile to YouTube. They are providing my massive videos for me and so I have found that it is in my interest for them to make some money off of them. Thank you very much 🙂 I’m not all that smart I just understand this stuff because I’ve been doing it forever. First of all THANK U SO MUCH for doing such a great job. I have seen your design pattern videos and found them really useful, though yet to finish all. One thing I felt was it’s a bit faster and too much to fill in that 20-25 minutes video for each pattern or may be I grasp at a slower pace -:). Would like to have videos on “How to crack programming interviews having Data struture/Algorithms”, topics/tips/experience. Thank you 🙂 I’m glad you enjoyed the videos. I have some Java algorithm tutorials. I plan on covering more advanced data structures and algorithms soon. Thank you for the request. Hello derek, I really wanted to learn how to program the server side of android apps and since you are not going cover networking for now, I decided I’ll learn this by myself. My objective is: to develop more complex apps that uses the web and databases, build web servervices, and so on…But I dont know what I should learn or where to start! Should I learn php and mysql? Or is it jsp that I should learn? By the way, Im a HUGE fan and very excited for the android game series. Thanks for everything man, your videos are making me so much smarter! I personally almost always do everything server side using php. It is the least expensive option. I plan on covering all of that stuff very soon. But isn’t php only for websites since its code is embedded inside the html? Does it work with android apps or otther programs as well? An Android app can communicate with a web server just like a browser. If you have a database for example on a web server it would be common to have a php program stand between the Android app and the database. I really enjoyed all of your videos. These are some of the most informative and clear videos I have seen in a long time. Anyways today I would like to ask if you would be continuing the Object-C tutorials? I would really appreciate if there were more videos on object-c since that is very popular language at the moment. Hi I plan on covering c++ very soon. What exactly do you want to see in regards to image processing. Do you have any steps in mind to building a brand/online company bloggging etc.. I have a ton of marketing tutorials on this site : Marketing Tutorials, Vlogging Tutorials, and SEO tips. I’m a big believer in finding information that you love studying and then provide that information through a blog or vlog. I personally still see many more opportunities through YouTube then from a traditional site. Yes, but when you give people even a minor amount of power it opens you up to potential security issues. For example if I just allowed people to post comments without verifying them my site would be successfully attacked in minutes. Derek, you have a most lucid way of explaining complicated topics. You’re truly gifted. I’m currently learning Java and watching your Java algorithms videos. I have a question which might seem a bit academic, but it bothers me. I’m coming from a PHP background which gives us a bunch of pre-built sorting functions that we can use easily without knowing what’s going on under the hood. My question is, why didn’t the developers of Java make these type of pre-built functions for us the same way PHP has and save us a lot of time coding? I imagine that even the very-experienced developer would benefit if, for instance, he didn’t have to code a Merge Sort manually? Thank you for your amazing tutorials. Thank you for the nice compliment. I do my best to constantly improve the videos. As per your question Java does have all of the sort functions just like php. In my regular Java tutorial I cover those. So if Java already has them the logical next question is why do we learn algorithms? The answer is mainly to train our brain as programmers to be able to solve coding problems that Java doesn’t have a prebuilt solution. I hope that makes sense and sorry if I caused any confusion. Hey Derek, I just stumbled upon your tutorials on design patterns and loved them. Just have one question and this question has been for all famous tutorial makers like TheNewBoston, KhanAcademy, you, etc. It seems you guys cover a wide array of topics. And then there are tutorials from guys who just specialize in lets say…java or photoshop. Would watching your tutorials be more beneficial vs watching them from a person who only works on java tutorials? I know it depends, but my question is how in depth and how much quality do you try to put in each topic. Is your knowledge any less than someone who only works on java. Would I be wasting my time watching your tutorials when I could be watching one of theirs? Would appreciate if you could answer these. Thanks. As per your question, I think you should look at all the tutorial options available to you. It may seem like I cover many topics, but really everything is basically about Java, web development languages and tools that I use all of the time to make websites and such. In the real world I make websites using all of these tools on a daily basis. I also make Android apps. Actually I create custom electronics and I don’t even have any electronics tutorials yet. I don’t think some great expert, but I do use all of these tools on a daily basis. YouTube is just a hobby for me. I’d say my tutorials are for people that want to learn as much as possible in the least amount of time possible. They definitely aren’t for everyone, but I like to make original tutorials so fast tutorials are what I make. Are you kidding me by comparing Derek with thenewvoston???? ?Derek’s channel, are waaayyyyyyyyyyyyyyyyyyy better than thenewboston’s. Derek’s tutorials are the ones with the best quality I’ve ever seen and he answers every single comment or question( which for me, is one of the most wonderfull things about Derek). Derek, thank you very much for sharing your knoledge with us, we are all really greatful! You’re the man! Thank you very much 🙂 it is very kind of you to say that. Thank you as always Derek and have a great 2014! I am glad to see your youtube android development tutorials video. it have 41 videos. many videos i watched and implement in my android practise . i need your help. Please Help me. i have pdf books more. but i want to make these pdf books convert to android app. i have little knowledge in android . pls help me . please give me the example code. how to create book app.. i am not software developer. i dont have knowledge in java but i have confident to make app. if you help me. very useful to me. please help me brother. i have more pdf books. i want to make android app. please give me example res, layout, string. manifest.xml, mainacvity.java. please please. i hope your reply. Thank you Sulthan 🙂 Peace be upon you as well. I will be making a new Android tutorial for non-programmers. I will start it in January. You’ll be able to easily make most any Android app including the one you mentioned with the tools I cover then. I’ll get it going as soon as possible. Hi Derek, Your video are really nice, specially the explanations skills. It’s very much clear and in easy manner. I saw the wordpress theme videos tutorial. It guided me a lot. However, I am looking for guidance on next steps. Like how to make it dynamic like integrating the markup with wordpress existing functions using(wp_header, wp_footer etc). Would appreciate your guidance. Thank you so much for the reference. I am new in WordPress and trying to get hand on it. The reference URL covered almost everything. Just one confusion. How can I create my own home page. As for example- I have my own custom structure(markup) and I want to use the same as Index page when first page load and then on clicking on other link(i.e portfolio or services etc) it should be redirected to index.php(wordpress file). Is it possible? Please suggest. Thank you I’m glad it helped. A WordPress site normally has a consistent sidebar and header. If you want pages to have different headers for example you could import chain home based on page I guess. I’m not sure what your design is though. okey, let me give a more try. I want to use custom pages, using existing wordpress header and footer. as for example, i have middle container which is having different data, now, how can I call that to middle container with different page name? If you want to only change the content in the middle of the page WordPress does that on its own. I may not be understanding the question. Do you have an example you can refer me to? hey bro. what is a good hosting account that you recommend and is it also a bad thing to have your domain name and hosting account sign upto one company for ex (GODADDY)because I watch a video and the guy said they will own you. I have worked with numerous hosting companies and the only ones I had problems with in regards to transferring domains were the small ones. I personally use Go Daddy because they have never tried to force me to buy a dedicated server even now since I get a lot of traffic. I won’t say anything bad about other hosting companies but many years ago a few popular sites had very serious security issues because they weren’t properly policing what was going on with their servers. i think that has been corrected, but I’m not sure. I wanted to ask what is the best settings to record tutorial videos for YouTube using Camtasia if you dont mind telling? Because i tried to make a video but the text appears to small on YouTube or to fuzzy. Thanks. Yes I had that problem as well. Open Camtasia and click preferences. 1. In the Canvas tab make sure you have Scale by percentage set to 100%. Just want to ask HOW YOU MANAGE YOUR TIME to do so much ? Do you plan on making tuts for Hibernate,Struts 2,GIT , Maven ? Hello 🙂 it is nice to hear from you. I just don’t sleep that much. I also don’t have any other hobbies. Since I have been making videos for so long it is also pretty easy for me. I’ll cover j2ee tips eventually but I want to finish covering android first. I will cover it while covering android if that is possible without hurting the Android ones. Hi there, I am enjoying very much of the deign pattern and code refctoring video and thank you for all the videos. I hope you still going to do the j2ee video and the last time you mentioned soon. May i know how soon and exactly when. If not, any suggestion of good website. I’m not sure how soon I’ll get to j2ee because I have to cover a lot of Android stuff first. I think java brains on YouTube is supposed to be the j2ee expert from what I’ve heard. I’m sorry it is taking so long but I don’t like to end tutorials unless I feel I’ve covered everything. Happy New Year 2014 wishes for you and your Family! Keep up the good work. Recently I’ve fallen behind with your tutorials but I promise to make up for the lost time 🙂 I’m struggling with C# in Visual Studio now but I’m hoping to get back to some of your lessons soon. Good luck and take care. Happy new year 🙂 Thank you for stopping by. I doubt there are many people that watch all my videos. I’m just happy if they help those that do watch them. Would you know what is the best way or tactic for the following senario. I want to make youtube videos and am using a screen capturing software but am using my mobile to record sound. Do you know the best way to sync up the sound and video? Is there a way i know when to sync them together so the vidoe and sound goes together? You can do that, but it is very messy if you plan on editing the videos, or sound in any way. If you don’t need to edit though you just import the sound and then drag it over the video and it syncs. I get the timing down by clapping at the beginning of the video. Then I match up the clapping with the video and audio. Hi Derek. I’m currently learning Java and I hope to start working on Android development in the near future. I’m wondering if you have any opinion or advice regarding Android vs. IOS. Considering I learn objective-C in addition to Java, is it more challenging to develop for one platform over the other? Do you foresee any trends in employment opportunities that might place more value for an Android developer vs. an IOS developer? I appreciate your insights and advice tremendously. I can only talk from personal experience, but I see very little work for iOS. I gave up on it all together 2 years ago. I personally though make personal apps for business owners. You can’t do that on iOS. iOS is easier to develop on then Android, but that is changing very quickly. I personally love my iPad, but I don’t believe Apple is providing developers with the freedom they require to make the apps that are in demand. Hello Derek,i think your tutorials are just awesome.They are also updated that’s why i like them most.I’m a junior programmer and i just finished the fundamental level of java and other programming languages.Now i want to start data structure and algorithm in java.Please give me some sequence of your tutorials that will help me to progress perfectly.Thank you. If you put your mouse on videos in the tool bar on my site you’ll find all the videos you are looking for. I have them all here Java Videos in the order in which I believe they should be watched. Firstly Happy New Year ! Sir I have seen your MVC tutorial and I am very thankful to for that. Sir I want to ask you that whether I choose JAVA or PHP for my Future. please sir guide me . I have No one in my contact , who give a best answer AS SAME AS you ! You’re very welcome 🙂 I’m glad you enjoyed the tutorial. As per your question I’d say it depends on what you want to do. Either way you’ll need a bit of PHP. If you want to focus on Android apps then go the java route. If you want to develop on the internet then go the PHP route because a PHP site is much less expensive to run. Thanks for replying ! I am not getting on what i should focus more for my future. I am Currently in 3rd yr of Engineering and want to choose a stream. Please suggest me on what I should give more focus. I have also interest in OOA & D .I have downloaded yourr tutorial on it. But as Programmer on which Language – Java or PHP I should Focus more to get Better Job, AS I have only 1 yr. for My Professional Life. If you’ll be working on the web PHP and if you’ll be developing for Android Java. You could go the regular html route if you want to develop cross platform apps as well. Hey are u gona make a java tutorial about how to make a game engine. I’ll be covering Android games first. I’m not sure yet what I’ll do for the desktop. I have tried 3 Apple headphone/microphone headsets like you use, but my sounds seems to be so low in all the videos. What are the microphone settings you use on your Mac? And any suggestions on how to a decent sound quality for the videos? Thanks for helping me and answering all these questions, much appreciated. The new Mac mic headphones aren’t very good. I eventually switched to a Plantronics Gamecom 780 headset that I got cheap on EBay. It is working very well for me. Your site is really interesting! I’m planning to come back for more not just for the programming part, but other aspect of the knowledges as well. Do you know the resources to get started HFT using Java stack? Sorry, C++ is too much for me right now. Any suggestions how a regular bob java programmer can find some wall street programming jobs? Thanks! Sorry, but I don’t think it is possible to compete with the big firms in HFT. They are pretty much front running from what I have seen. I know a girl that works in that field and when i asked if what they are doing is basically legal front running she said yes pretty much. That is a wild world. How do you place a div image inside of a div to over lap it in html/css ? You could use position:absolute and then manipulate the z index. I want to get into iphone programming and am new to programming. I know that i have to learn Objective C, Coca etc to develop iphone apps but i have been reading on the net that i should start learning C or Python first. Would you reccomend learning C or Python first before going onto Objective C etc? If you don’t know how to program it is best to learn the basics using a language like python, but not C in my opinion. You may want to give iPhone development a try first though since you are motivated to learn it. It is pretty easy to develop iPhone apps. If you struggle and begin to lose motivation then try python. python is a very fun and powerful language. I have been following your videos on java tutorials, java algorithms, design patterns and OOAD for few days now. I have got big job interviews for SDE-1 positions lined up in the coming week. What all videos would you recommend be a “must go through” for review purpose. how can I do it with java ?? I need more information on what you are trying to make. Thats awesome that you went to school for Electrical Engineering! Is there anyway you could make videos on ARM Assembly Language? By the way your videos on youtube are a crazy gift! You have donated so much of your time, these series have helped out tons of people! I was also curious if cause you know so much about oscillators and stuff, if you knew how to make funky fresh bass from sine waves. I imagine you do…. Thank you very much Derek for making these awesome tutorials I am 12 years old and I would never even have looked into programming if it wasn’t for your awesome videos I am currently looking at your java and android development tutorials and they are very interesting. Thank you 🙂 Yes I will definitely get back into regular Android Java programming after I finish with App Inventor. I’ll make sure I cover wifi, bluetooth, nfc, etc. I am in the process of setting up a wordpress site, i wanted to ask what plugins to you use to avoid spam commenting and also in your opinion what is the best way to keep the wordpress site secure? Akismet is pretty good about spam over time. For security I use the WordPress Firewall and the Sucuri Security plugin and services. My security is probably a bit to secure because I blacklist anyone if they do anything weird, but in this world I was forced to do that because of the constant attacks. Firstly, I would like to thank you for sharing your knowledge with such high standard videos. YouTube has become a great place to study and learn in a variety of subjects but there are very few people presenting quality videos like yours. Question for you, do you have any plans in making tutorials on virtualization topics, like VMWare and HyperV? Thank you for the nice compliment 🙂 I mainly do tutorials on topics that I’m very aware of. I don’t plan on covering VMWare because I’m not aware of it. Over the course of this year I will slowly start making both video tutorials and free Android apps to go along with them. My hope is that those apps will help people better study the information. That is the big plan. I hope it goes well. I’m working on a independent film. What strategies would you use to get it to the public or how would you market it online and drive traffic towards it. Any advice brother. I don’t think there is an easy way to market online any more. There are tricks that will get you attention for the short run, but they will eventually get caught by Google. I have always been a big believer in building an audience slowly. That requires a lot more time, but those communities will also stick around. I have always preferred to have many videos with 10,000 views over one video with 1 million views. Im loving your new tutorials and have learned so much from you, i wanted to aks last year you did a competition with Samsung, how did that happen did you contact them to arrange a competition or did they contact you if you dont mind sharing. Thank you 🙂 They contacted me. My Android tutorials have become pretty popular and so I guess they thought it would be a way to help draw attention to their coding competition. They were nice enough to give me free products to give away to you guys so it was very fun. First of all, I just say thanks because I cannot express my feelings for you in words.This is a good institute for me to learn. Sometimes i listen to you instead of going to university because i learn here more than uni. I want you to specify Object oriented tutorials in your java programming tutorials. Thank you very much Gulzar 🙂 I’m happy that I have been able to help. Here is my Object Oriented Design tutorial. I hope it is useful. Yes I plan on covering C++. I just want to move a little further along with the App Inventor tutorials first. Here is all the code for my Java paint application. i am just started checking ur site and it feels awesome..
ty for such a great experience…. i just need to know that is there any lecture video that explains how to keyword search on XML documents using java.. pls reply.. Thank you 🙂 I have a couple videos on parsing xml with Java, but this is the most popular Read and Write XML with Java. I hope it helps. sir the videos are extremely helpful… jdom2 and XPath both are really good … sir i just want to know how to search more than one xml file at a time because i am working on this project thing “returning clustered result for a keyword search for xml documents…. Thank you 🙂 You could search in the same way maybe using different threads for each xml page? If you are doing a ton of bulk searching like with a web spider I think I’d use PHP though. sir u have already given this society a lot.. no one can ask for more but i just want to make a request.. i am working on my final year project that is “RETURNING CLUSTERED RESULTS FOR KEYWORD SEARCH ON XML DOCUMENT” i am watch ur tutorial and those are really helpful … but i am not able to start my project work.. Thank you 🙂 Sorry, but I don’t think I can cover that topic as soon as you need it. Here is an interesting article on clustering XML that should help. I hope that helps. Im developing an app Android Device Management through which I can Uninstall or Force Stop processes. Im getting the list of running processes with their PID and I also know code to stop and uninstall processes but can you guide me on how do I stop process based on Its PID and uninstall process(app) based on “package:com.example.appname” format when I click that particular process’s button. if you want I can share that code also. Currently I have done something like that only but I want the package name should be dynamically go into that code it can be using some variable.So it can uninstall or force stop any random third party app. Is it possible ?? because I have tried a lot using different ways of doing it. May be you can help giving me better solution. Hi Derek. Thank you for everything you’re doing. You really have some very interesting stuff on here. I really enjoyed you psychology videos and was wondering if you are planning on making any more of them. You’re very welcome 🙂 I have been toying with the idea of making more psychology videos. I have been thinking about a hypnotic storytelling video for a long time. I’d go into how propaganda works, but I think that might turn political, which I have always tried to avoid. Hi Derik i am new to programming not new new but i m two years now in the field and yeah i can program basic programs.Here is what eats me up, when now developing a system what are the basic things you start with. i found myself just starring on my screen not knowing what to do next.eg lets say its a Chat program in java with the Client side and Server side where do you real start from. Please help. What you need is UML more then likely. Another thing that should help is an understanding of Object Oriented Design. For the OOD tutorial watch the first 2 videos and even if you don’t understand all of the code you will learn a lot about the thought process. Feel free to leave more questions. ok that’s not a problem let me go through the tutorials you suggested so that I can be a good developer. Hi Derek I have a small favour I would like you to help me with though I am kind of shy to say it out but will jus do anyway since I need help. I am a computer science student in my 3rd year now (which is internship )and next year (2015) will go back to college for my fourth year in which we do a final year project which has a weight contributing much to the degree class you look for a topic of your own propose it and if accepted you program it since they want a working prototype however I am lacking or I am not creative enough and have read from areas ranging from BIG DATA , BI(business Intelligence) , Internet of things among other areas but still cant come up with a feasible idea on what to do.if you come up with a topic we are required to then work on it using any language of your choice and I was asking you if you can personally help with ideas . I feel very embarrassed to ask but it doesn’t kill asking.Let me know maybe you might be having a bunch of crazy ideas. Nice videos of design patterns. You are saving so much time of us of reading & understanding these kind of topics. Thank you so much for that. I would like to know if you are going to cover SQL & NoSQL databases, reason to use, how do these work & some examples of these type of databases ? May be a silly question, but do you use any database for your website ? If yes, which one & how ? I have a bunch of SQL tutorials. I use MySQL exclusively for everything. I have used other databases and I see no reason to use anything except for MySQL mainly because of price. Do you have a tutorial for login authentication for android and connecting using mysql instead of sqlite? I’m going to make one very soon. I just need to finish my web services tutorial first. Okay thank you, I’m looking forward to it. Do you have an sqlite tutorial for it? If none, well thank you again. Oh sorry i mean an sqlite tutorial for the login authentication. You couldn’t really do that because the SQLite database on the device would need constant updates from a MySQL server you control. You could call for it to be updated, but a direct route to your MySQL database would be much quicker. Greetings of the Day, I am one of the follower of your android tutorial. We are developing an android app and simultaneously looking for this app would be platform compatible. I came to know that Phonegap will do this, so can you make a video that describes making apps using android studio and Phonegap. Waiting for your reply eagerly. Hats off for your effort of making videos on various technologies. do you have a tutorial or can you have tutorial about a search-engine like in android, Thank you. Hello, Sorry I’ve never made a tutorial about building a search engine. I can’t imagine anything that large would do very well without thousands of servers. I think I have a wrong word but it is like when searching a data in listview from the data base like a search filter something. I’m not very well versed in search engine techniques. I’ll look into what goes into it. First of all I would like to thank you for the time and your passion towards educating others through your channel. Honestly this is the first ever youtube channel which I have subscribed to. you are really really amazing. I have learnt a lot of stuff from java to android development which helped me to set my career path. I would like to request you to create a tutorial series in jee as for now , there is book, no good tutorial to start with to learn jee. I hope other will njjoy as well. Thank you for the nice compliments 🙂 I try to do my best. I plan on covering Java enterprise after I finish with my Android tutorials. I’ll do my best to get into it soon. Sorry about the wait. Hello, english is not my native language: that’s why I think it’s harder for me to understand rare words in programming. I’m thinking: is it possible to create android app with app inventor, which could speak caller’s, SMS writer’s ID-name from contacts. Also speak SMS message. And to repeat this for a determined times with also determined pauses. It seems that text to speech is not that loud: maybe it’s possible to change that? Hello, Near the end of this tutorial I talk about a tool called AI Live Complete. It allows you to edit the sound like you want. I also show how to transition to Java Android which will also allow that. Hi, Derek , I am a happy learner of your Android video tutorials , I am a life science graduate turned web developer . interested to learn mobile technologies . i would like to know how effectively we can make a HTML5 mobile apps . i haven’t tried it so far but i posses a stereotype that cross platform apps are dumb and slow . do you have any suggestions . I have been in to development for 2 years . before that i have no knowledge about any of the programming languages . I wouldn’t say html apps are dumb, but they don’t take advantage of the large majority of what iOS and Android offer. I have only ever made simple html apps. I’ll try to upload a html5 tutorial next week to help you along. Hi Derek thank you for the tutorials for Python/RegExpressions. I watched many of your tutorials. I need to extract certain lines of strings from a huge text file and save it to a separate file. I couldn’t do it. I would be grateful if you code refer any tutorial or code you have done. In this tutorial I cover how to grab most anything using Regex. Hey Paul, Look at my Android for beginners tutorial. By the end of it you’ll be able to make a large number of Android apps. I am new to ANDROID development When ever i create a new project, the Fragment_main.xml file is added to my Layout folder and unlike in Eclipse it is this file that contains what is normally in the Activity_Main.xml file.Why is the Fragment_main.xml file always added to my projects in Eclipse and how is it different from the “regular” Activity_main.xml file? As I follow your tutorials which of the two between Activity_main.xml and Fragment_main.xml should I be editing and inserting my layout code. since in most tutorials I see there is only main.xml. I am using ECLIPSE KEPLER. I show an easy way to fix that here Android fragment fix. thanks so much you are a life saver. First of all, I would like to thank you so much for all the amazing tutorial! a) Is is possible to install Android Studio and the SDK in Win 8.1? I tried but I still get errors, I want to know if I should keep trying or am I trying an impossible quest? b) It’s funny the way i found yout site and Youtube channel was via another Youtube channel that is uploading copies your videos. (https://www.youtube.com/channel/UCktyMfKdeh-H6xHzTEg83Gg) is this you or at least with your consent? If not I guess you should at least know about this. Yes it is possible. I think the issue may be with the version of Java used. Use Java 7 instead of 8. I don’t really mind if people copy my videos as long as they don’t post copyright claims against me. Thank you for pointing that out though. The new crash courses you have started is really great . I was hoping whether you will start with node.js videos, I don’t know its importance , but seems to be a hot topic nowadays. And a final request , please make a post regarding all the technologies(only the names) which are used nowadays in different sections of web, like bootstrap,angular.js,dart these are some which I know. Thanks for all your effort.!! Thank you 🙂 I’m glad you are enjoying them. I plan on making one for pretty much everything including your requests. I’ll upload them as soon as possible. I don’t know whether you have mentioned anywhere about type of programming style like functional,imperative etc. ,I really wanted to know about their differences. Wiki page for these are really not simple to understand. I would appreciate if you come up with a short post. Thanks in advance for everything. This is a perfect example on the differences between functional and imperative programming. Derek! I was going through your Android development tutorial videos and have to say, they are wonderful. I have a question to ask : i am using adt on eclipse on Windows. Whenever i create a new Android project and select a blank activity, my src and layout folders are created blank. Even the values folder is created without a dimens.Xml file. I’ve gone through numerous threads to find a solution for this, but haven’t got a fruitful answer. Please help me resolve this. Thank you 🙂 The best course of action would probably be to use Android Studio. It is a lot less buggy then Eclipse at this point. All of the code is exactly the same. I’m a huge fan of your Android tutorials. They are simply amazing. I request you to make a tutorial video on ServerSocket and Socket programming in Android. I’ve tried to do it on my own but I find it impossible to make the program running on my PC to connect to the server program running on the Android tablet(both are connected to the same network and are able to ping each other). Please, I beg you. Hello Derek can you put up a tutorial about an online database in Android? so I hope you can help me with that. I made a tutorial on using a web service with Android. I’ll make another tutorial on interacting with a database soon as well. Sir,I had made an android app that will check for new message in mysql database each sec and notification will appear if there is new message.It work fine in localhost but when i upload the code to a hosting server, my router will block the connection to the hosting server suddenly and after i restart my router,the app is working fine again.I use the http post method that you teach in the translation app u made to check for new message in the database. May i know that is the problem? Are you trying to do this with an emulator? Emulators get confused some times when you try to use the internet rather then the localhost. ex: I want a natural display of x^2 where 2 should be a superscipt. You would define that style using XSLT. This tutorial should help. I have a web service tutorial using PHP and MySQL here, but I haven’t made one for Java yet. Hey mate, firstly i am sure everyone says this but your tutorials are by far the best i have found on the internet for Android app development. So thanks for putting them up here. Now coming to my question. I want to be able to use Beacons/bluetooth/GPS and location based services in my app. Just wanted to know if you had any tutorials created on using these hardware features? If not do you plan to put up any? Also if its on your agenda as such, can you please point me to some online resources where I can go and learn these? Thank you 🙂 I did 2 videos on Google Maps starting here. I plan on making a bunch of large apps soon along with bluetooth. I’m getting close to the end of covering the basics and will make big apps soon. I take the service URL and I enter the URL into my browser then I take the text(the result) and view it in JSON viewer than I take what I want(then parsing the JSON) , but in my problem when i enter the URL, a file is downloading and inside of this file the text exists(i know reading JSON file in text) but i am not allowed to download and read (i am not allowed to do it that way i am supposed to do it without downloading it), i asked it to many people but people are just saying me to change the Framework but is there a way to not downloading but reading inside of it ? Could you please help me ? I’m sorry, but I don’t understand the question. What do you mean that you want to read the data without downloading it. You would have to retrieve the data to be able read it. Can you give me an example? I’ve got to say that I’m enjoying to watch it and It’s really useful. I wish it was something more useful like creating a really simple plugin with function.